Last year on the day that the third book in the Southern Reach trilogy came out it was practically all I rang through at cash all day long. The popularity of the book is what initially intrigued me enough to look up the series. I shelved on my long list of TBRs and figured I’d get to it eventually. Recently I forgot to bring a book with me to work and wanted to pick up something small and light that I could easily carry since my bag was tiny. I know you’re gasping in shock right now and thinking that I’m a travesty of a book nerd for forgetting a book for my public transit commute. I happened to be shelving books that day and work and noticed that Annihilation was a teeny tiny waif of a book that would be perfect for my commute home. 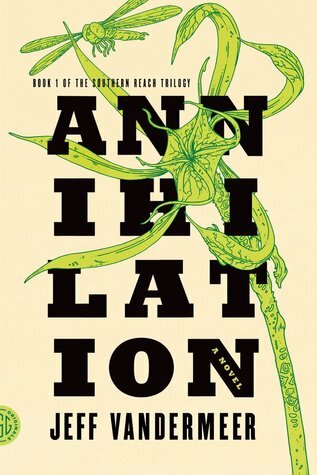 At around 190 pages Annihilation is a great length to quickly get pulled into this dark and creepy trilogy. I ended up really enjoying Annihilation and would have still whipped through the book had it been longer. The plot was extremely creepy and kept me intrigued the entire time. I really enjoyed Vandermeer’s writing style, especially how he left a lot of the descriptions of Area X deliberately vague to let the reader’s mind wander. There was more than enough detail to frighten me, but enough incomplete description to allow my mind to wander and to go to the creepiest scenario possible. Writing the book like this allowed me to experience, in some way, how the expedition members felt. Not being able to trust the narrator and the description, and having my own mind make up some of the description connected me more to the uncertain and possibly delusional mindset of the biologist. Overall I enjoyed the book immensely and immediately went and picked up the sequel. 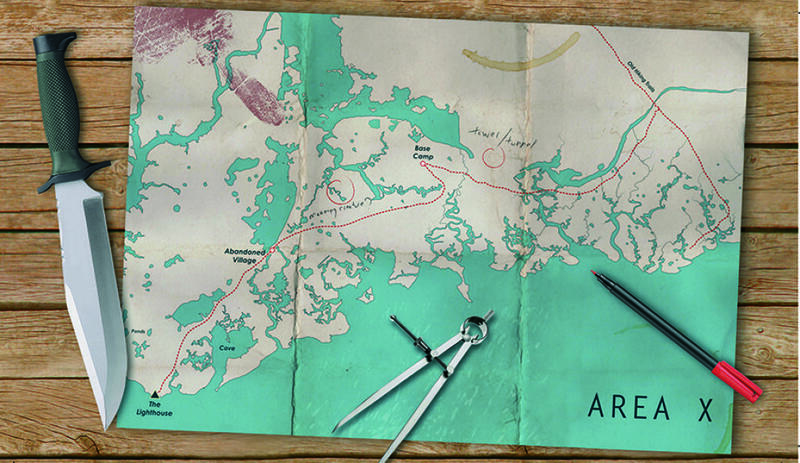 I look forward to seeing what Vandermeer does next with Area X. When I first heard about Modern Romance by Aziz Ansari I thought it was just another comedian’s memoir. That is to say, I was intrigued but not overly interested in reading it. After seeing about six coworkers reading it though, I finally asked what it was about and found out that there is an immense amount of research that went into creating this book. 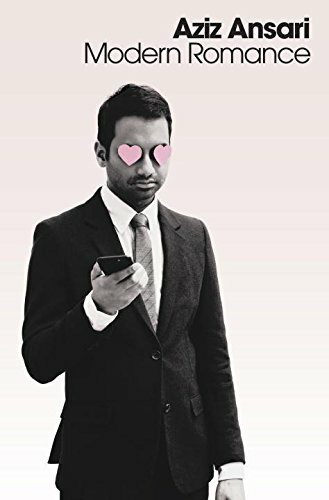 I also found out that although it does occasionally pull from Ansari’s life it is actually all about dating and relationships in the modern age. This is one of my favourite quotes from Aziz Ansari about trying to actually schedule plans with someone you’ve just met and are romantically interested in. I have to say that I really enjoyed reading Modern Romance. There was a lot of information in the beginning of the book that I’m sure most of us already recognize, but as I read more of the book it delved into topics I knew very little about. Ansari talks about dating website and dating apps like OkCupid and Tinder and he was able to pull data from both and even get in-person feedback from focus groups he held about how people realistically use these sites and apps to meet people. I enjoyed that Ansari not only referenced modern day dating aspects, but also compared them to how dating has evolved. In relation to dating website that we have presently he talked about how people use to write personals in newspapers to find partners and in the 80s (and this is one of my favourite things that I learned in this book) people created videos of themselves to find partners. I feel like this is so wonderful and insanely awkward that everyone should see it, which is why I’ve linked it in my post. The sections that I found the most interesting were probably those on dating in different areas of the world. Ansari went to a few different parts of the world researching the cities beforehand and held focus groups in each city to discuss the different way in which that city dates, compared to the average North American city. Tokyo’s dating and relationship scene was particularly weird and fascinating to read about. You should honestly read this book even if it’s only to hear about the oddity that is Japan’s current romantic struggle. Overall the book was interesting, funny, easy to read, and fast-paced. I honestly just wish there had been even more information and that it gone into more detail and history on the different cities that Ansari went to visit. There is no explanation as to perhaps why these cities date in the ways that they do and with the amount of research done I feel like Ansari could have expanded these sections a bit more.